When talking about money, planning should be concrete as there are several variables which could affect your financial planning. Fulfilling the needs of your future and improving your standard of living is dependent on the plans which you execute today. Financial planning helps you in determining your short as well as long-term financial goals and creates a balanced plan for meeting those goals. Here are 10 key reasons why you need a personal financial planning for a better tomorrow. 1. Securing your family: Your family’s financial security is a crucial part of your financial planning. Having a proper insurance coverage could provide peace of mind both for you as well as your loved ones. 3. 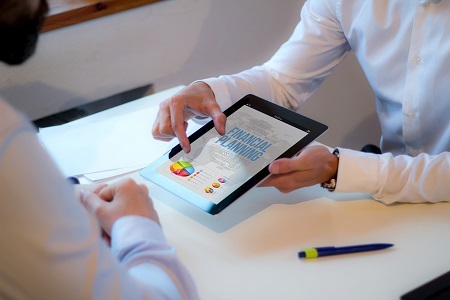 Financial Understanding: Financial understanding could be achieved with financial planning when the measurable financial goals are established, effects of financial decisions understood, and their results reviewed. Financial planning provides you the whole new perspective to your budget and improving control on your financial lifestyle. 4. Helps you identify financial errors – Not just spending but overall financial planning exposes financial mistakes which you could have been making and it also provides easy fixes. For instance, proper financial planning let you analyze opportunities to invest idle funds or consolidation of debts. 5. Enhances risk management: When you do proper financial planning, you could determine the insurance coverage you require with better certainty. Hence, you don’t have to overpay for any unnecessary insurance and also you don’t end up with lower than required cover. 6. Improved ROI (return on investment) on your portfolio: Proper financial planning takes into consideration several aspects such as investment planning, risk management, liquidity management, liability management and goal planning. With financial planning you would be able to design your integrated investment plan which takes into consideration your goals, risk appetite and available liquidity hence helps to improve the ROI on your portfolio. 7. Measuring and improving asset allocation: Asset allocation is a crucial money management element. An individual needs to find a fine balance between managing the risks and returns, and right mix of assets is required for the same. Financial planning assists in choosing the right mix of asset depending on your risk appetite and return preferences. 8. Future visibility: Financial planning assists you get the visibility of for next 10-20 years. With financial planning you would be able to get comfort with your retirement and also help plan your finances at the time of emergency situations. 9. Emergencies: There may be unexpected and unavoidable times ahead that could become obstacles before your finance goals. Proper financial planning allows you to be ready for such unexpected and unavoidable situations without disturbing your primary objectives. 10. Retirement Planning: While achieving your family goals is a general objective for having a comfortable post-retirement life. In case you are planning an early retirement, you must plan investing as early as possible because the magic of compounding works better if it stays invested for a longer term. Proper financial planning assists you in creating sufficient corpus for your retirement when the expenses continue but the income dries out. It’s always advisable to consider early investing for achieving your life’s goals. Financial planning isn’t a difficult task. It’s easy and it really pays off attractive returns over a long-term. So have started with your financial planning yet? Start planning today for a better tomorrow. Writing since 2013 on various topics.